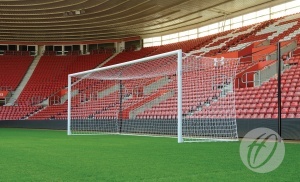 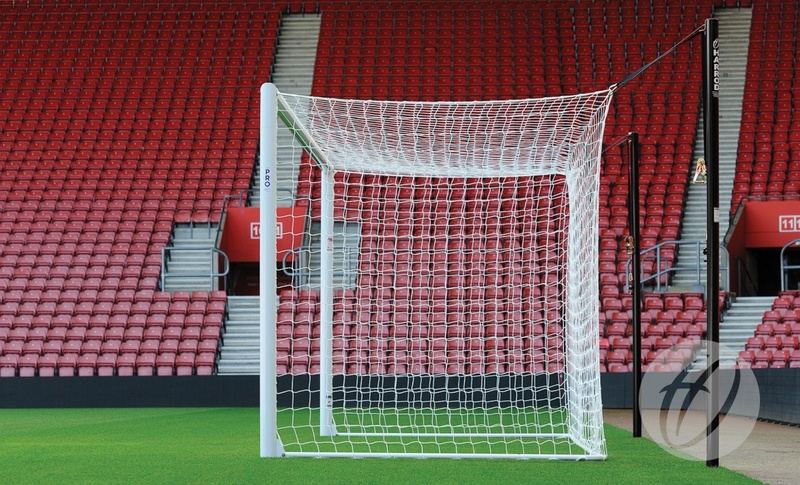 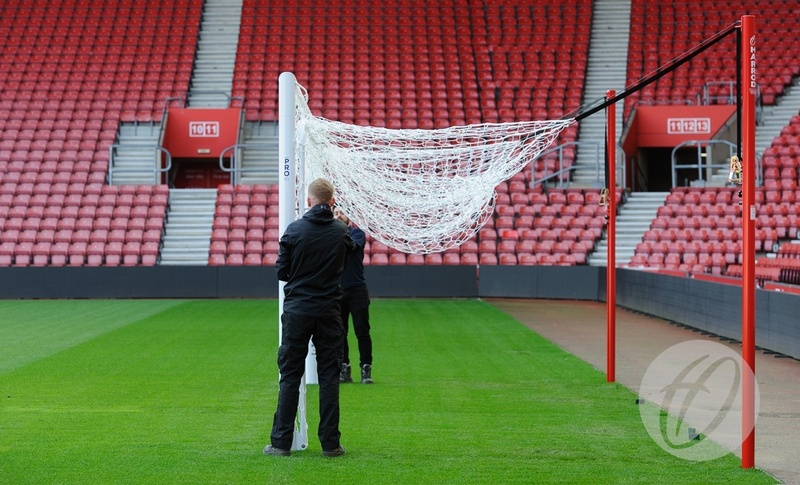 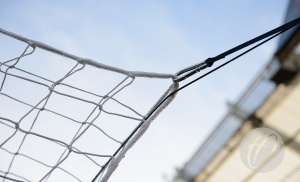 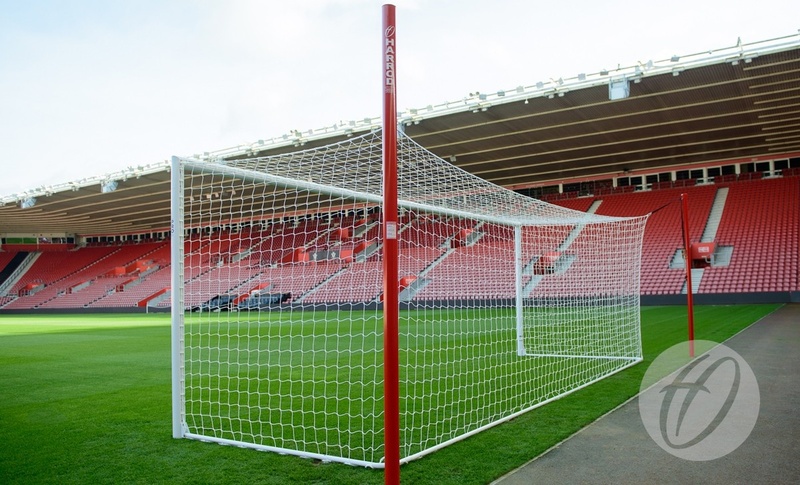 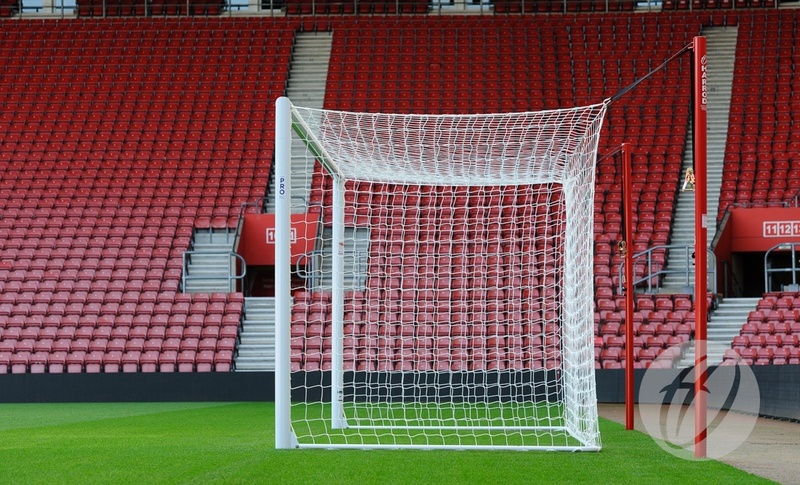 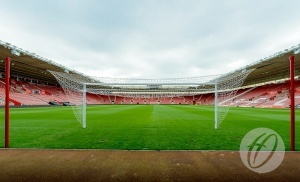 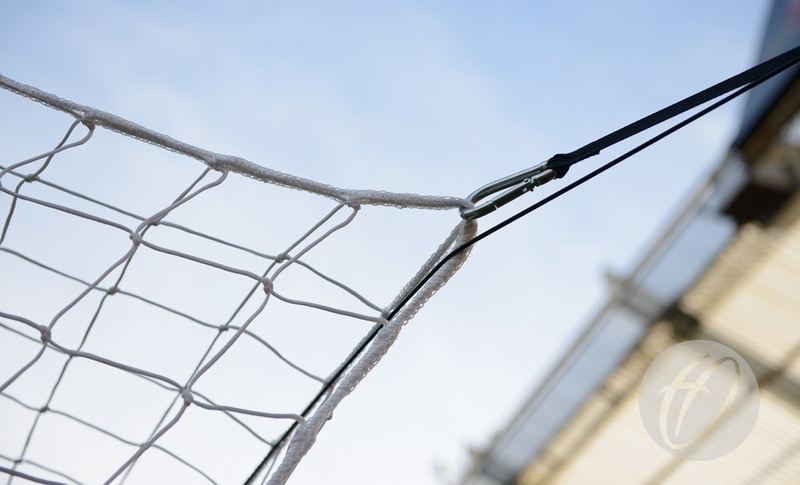 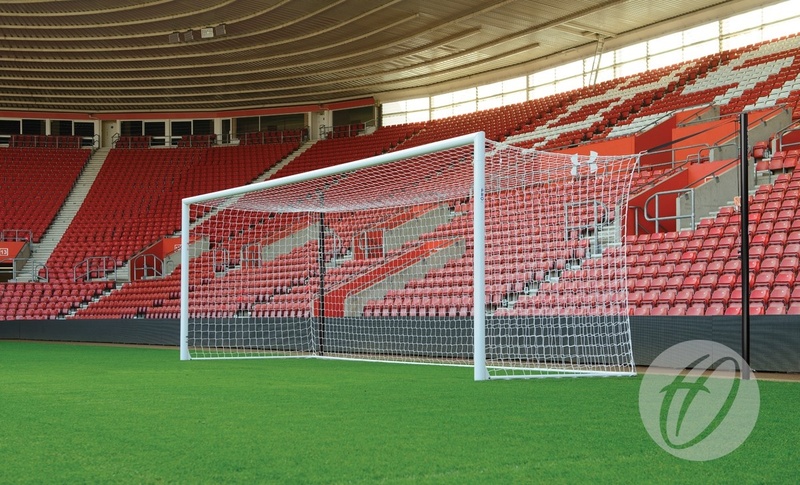 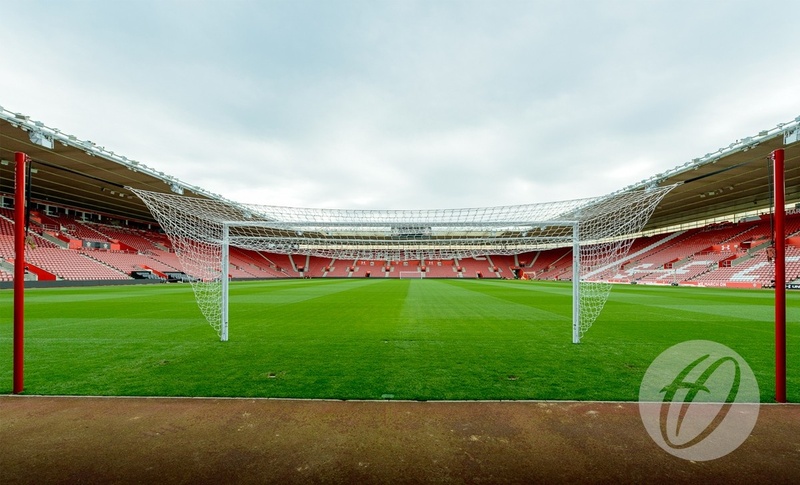 Harrod Sport 3G Stadium Pro Goal, the latest evolution in goal posts which allows for precision height adjustment. 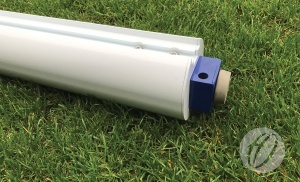 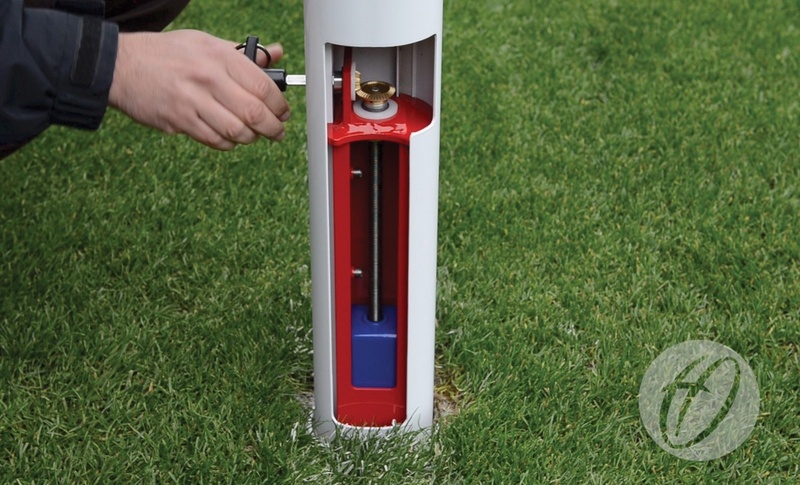 The stadium pro precision height adjustment system allows for goal to be accurately adjusted by up to 100mm whilst the goal remains in situ. Uprights & Crossbars made from 102mm x 112mm reinforced aluminium with double recess for flush fitting fixings. 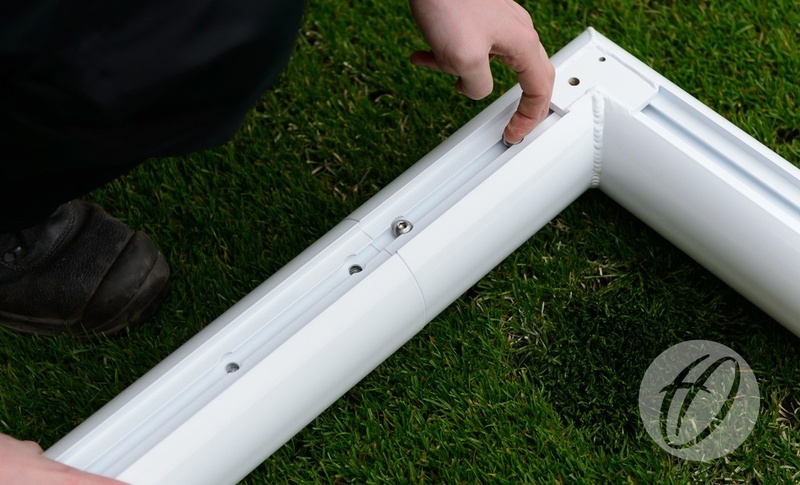 Reinforced welded aluminium corner joints for improved aesthetics and superior strength, with laser cut internal fixing for exceptionally accurate joints. Injection moulded toughened nylon net clips that won't deteriorate over time. 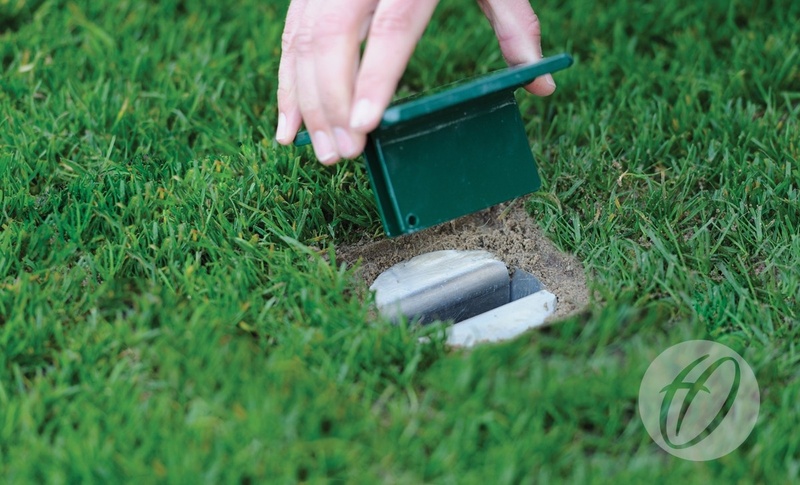 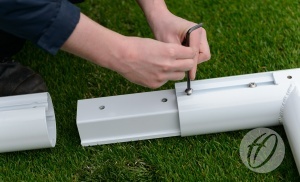 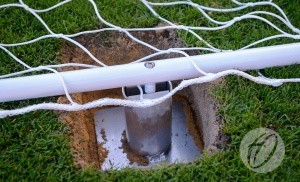 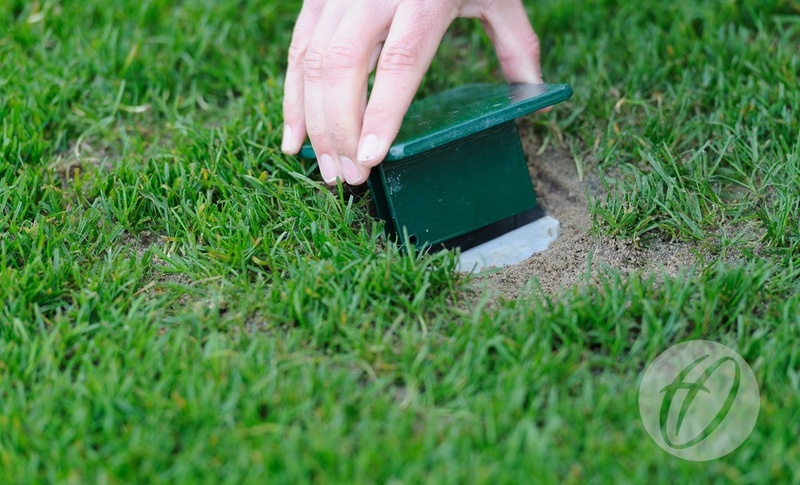 Lock-in T-bar to allow for easy storage of the bottom net bar against upright for pitch maintenance. 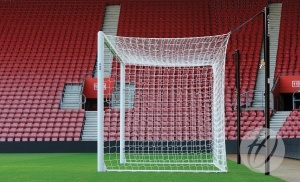 Reinforced net support system prevents bowing under intense tension. 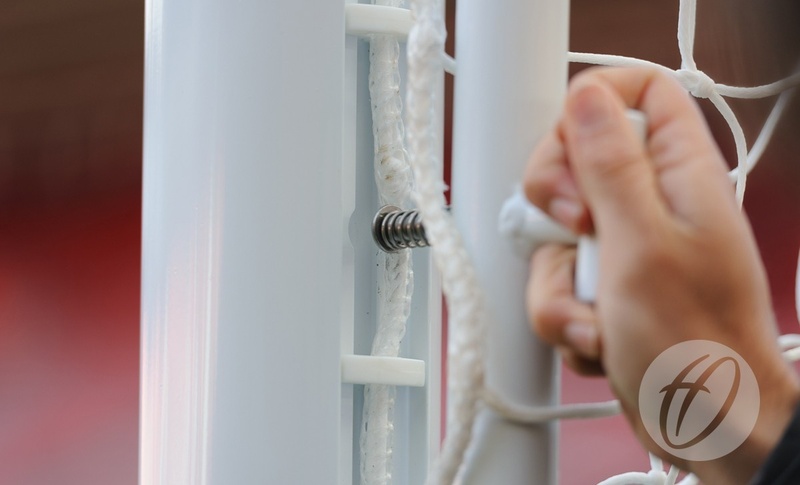 New, heavy duty ratchet winch and webbing strap allows for high-class net shape with the inclusion of a failsafe wire providing 100% security during matches. 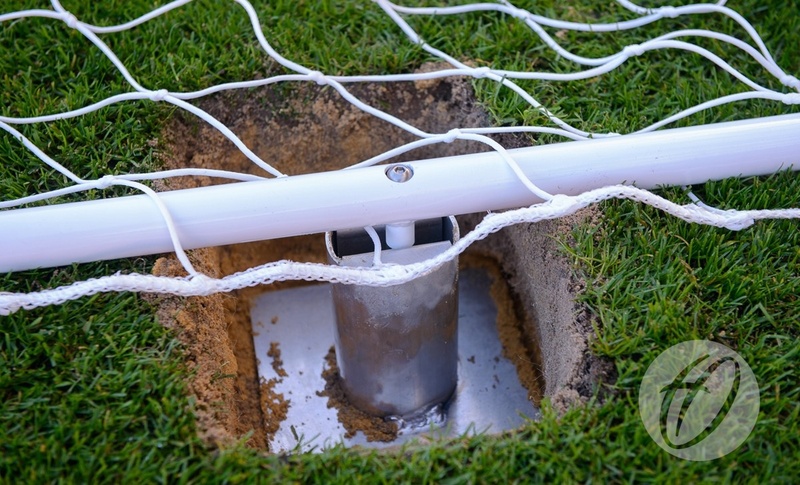 Lock-in bottom net bar 38mm diameter aluminium bar with ground secure key lock mechanism complete with 4 sockets and lids per goal.